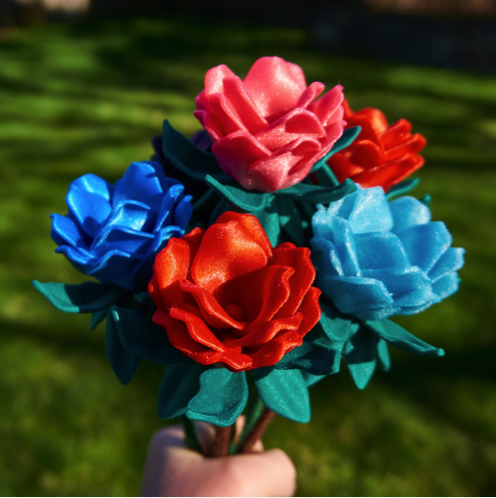 3D Printed Mazs Flower #3DThursday #3DPrinting « Adafruit Industries – Makers, hackers, artists, designers and engineers! Model I made special for prototyping the new Metallic Purple made by Proto-Pasta. It prints without supports and has a hole in the bottom to insert a wooden skewer. Wooden skewers can be found at most grocery stores. I purchased the Good Cook Skewers from WinCo. Update 180212: Added the leaves I made for this flower. The leaves also work for the Dahlia Inspired Flower on my page. The leaves also can be printed without supports. The shown leaves were printed in Proto-Pasta Matte Fiber Green HTPLA.